The ultimate test of friendship. 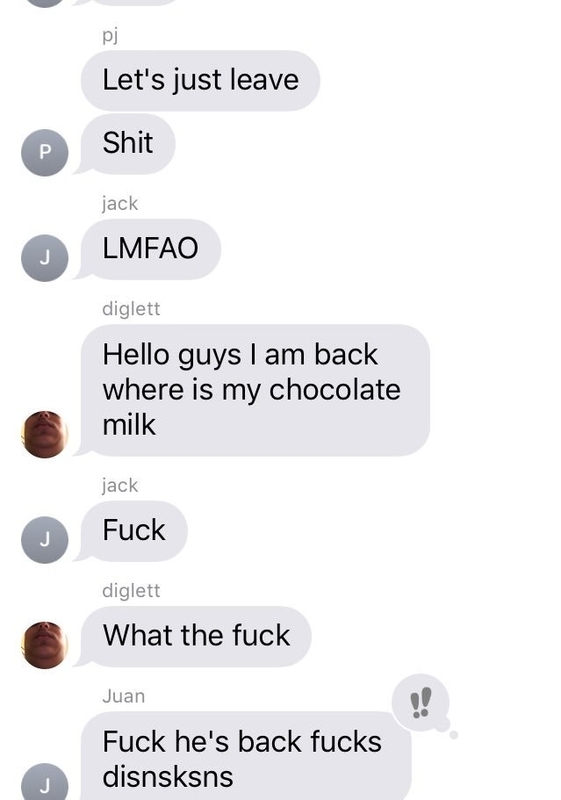 Earlier this week, one of Favian Perez's friends, nicknamed "diglett," sent a photo of chocolate milk to their group chat and asked his friends to look after it in his absence. Someone then proceeded to "spill" the milk. Diglett then returned and asked where his milk was. Perez, an 18-year-old from San Jose, California, shared the exchange on Twitter, where it was retweeted more than 7,000 times. 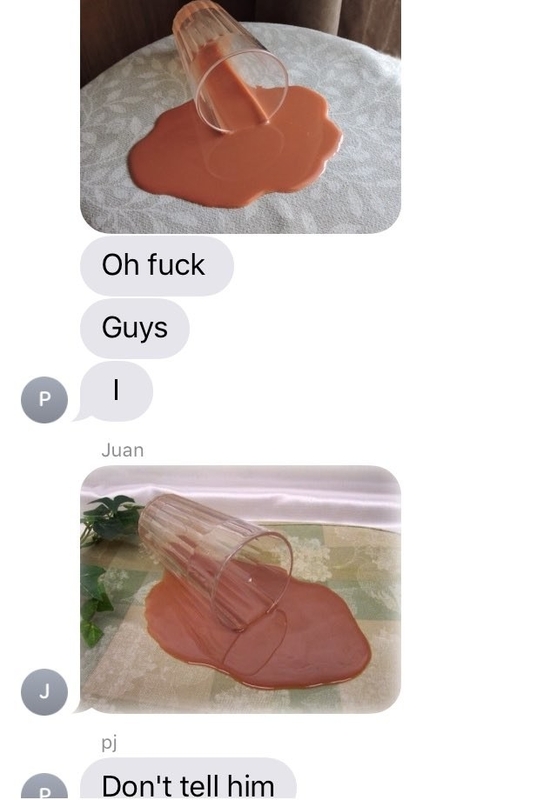 Perez told BuzzFeed News that as soon as diglett sent the image, he and his other friends went along with it because they immediately knew it was a reference to the Chocolate Milk Threads meme that started on 4chan in 2008. According to KnowYourMeme, the meme usually starts with someone sharing an image of a glass of chocolate milk and asking others to "watch it" in their absence. People then agree or post an image of a spilled glass, sometimes with a controversial opinion that results in them reportedly being banned. Other people then started doing the same in their group chats. Several of the exchange also went viral on Twitter. Just to see how their friends would respond. @Trashvis @plurmaid_ Dis the typa friends I have. "It wasn't like we were trying to bring the meme back," Perez said, adding that he was surprised at the amount of people who had started emulating the exchange.